This is your chance to relive the summer vacations of an icon– and hey, it’ll only cost you $85,000,000. 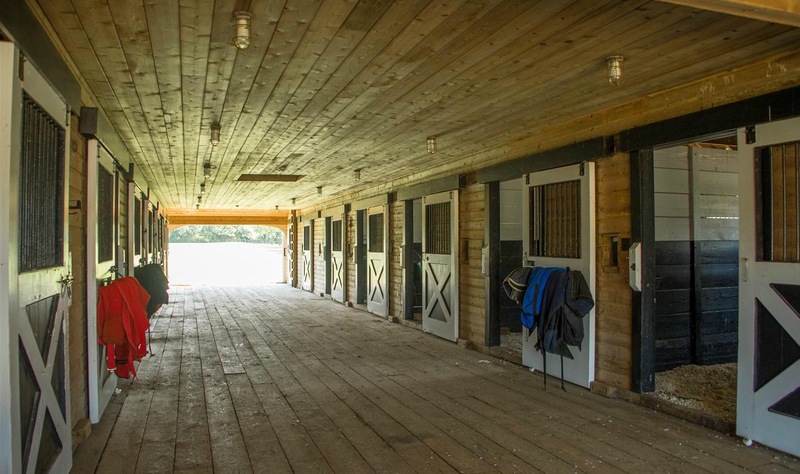 Andy Warhol’s Montauk estate ↑, a 30-acre oceanfront compound with a historic equestrian farm, where the most famous faces of the 1970s went to escape, is now up for sale. 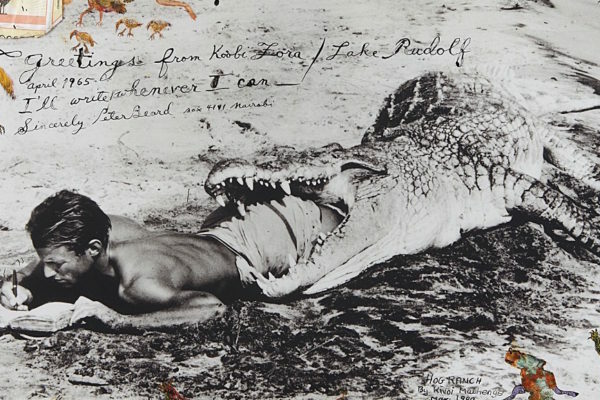 A page from the scrapbook of Warhol’s Montauk neighbour, the great American artist, photographer, diarist and writer, Peter Beard. The pop artist godfather bought the Long Island property with his partner Paul Morrissey in 1972 and counted it as his summer home for nearly two decades, where he entertained such ‘buddies’ as Jackie Kennedy, John Lennon, the Rolling Stones, Elizabeth Taylor, Truman Capote, Catherine Deneuve, Liza Minelli, Peter Beard and Keith Haring, to name a few. 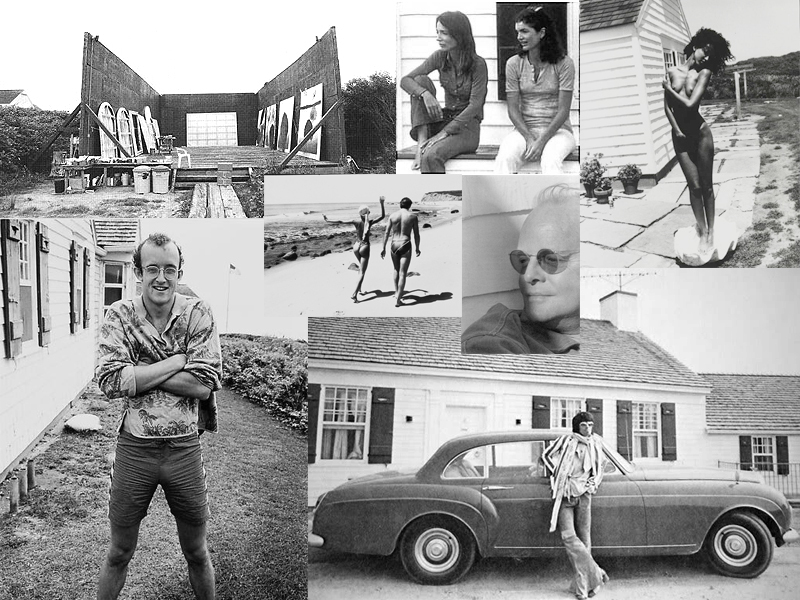 A brief montage of Warhold’s Montauk: painter Julian Schnabel’s open-air studio; sisters Lee Radziwill and Jackie Kennedy; a Warhol muse imitates Boticelli; Keith Richards with his car; writer Truman Capote; artist Keith Haring; writer Jean Gould and model Pat Cleveland on the beach– via 1stDibs. 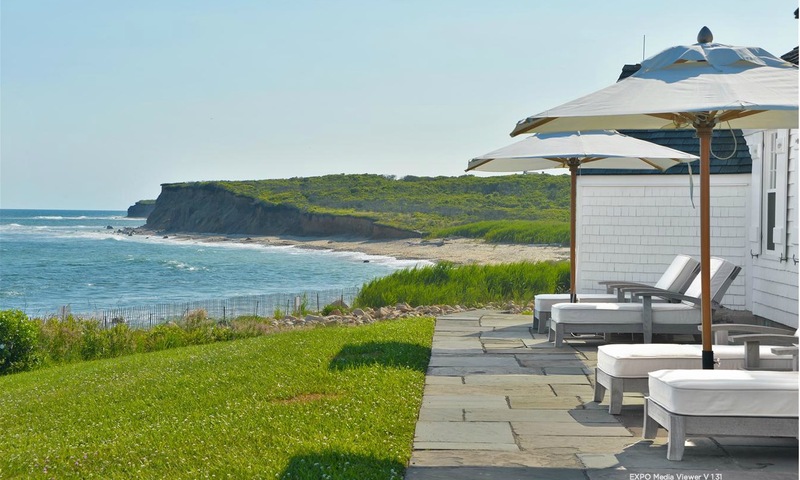 These were the days when Montauk was still on “off-the-beaten” path vacation spot for New Yorkers and hadn’t yet become as fancy as the Hamptons. 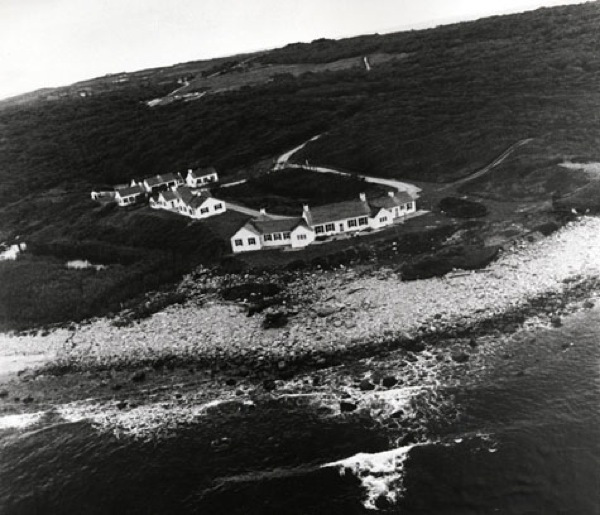 Warhol and Morrissey purchased the estate for a more modest $225,000, and it became their seaside escape from the infamous Midtown Manhattan $100-a-month studio where society’s boundaries had been pushed to the limit during the 1960s with their radical art and sexual experimentation. 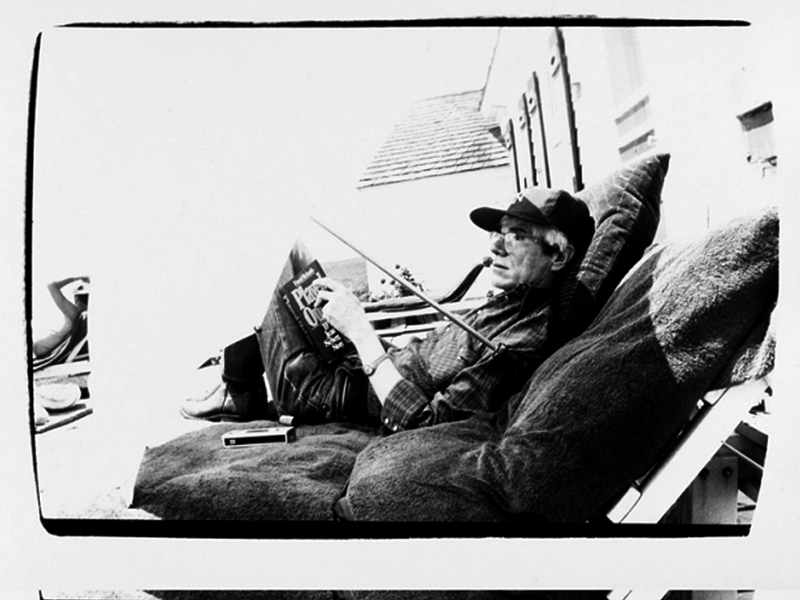 Andy Warhol at his Montauk home, captured by Peter Beard. Andy’s summer “Factory” was somewhat more tame however, helped by the fact that the artist had already begun to leave his more extreme days behind, along with the some of the more melodramatic hangers-on of his entourage. Andy was becoming an accepted member of society’s elite. 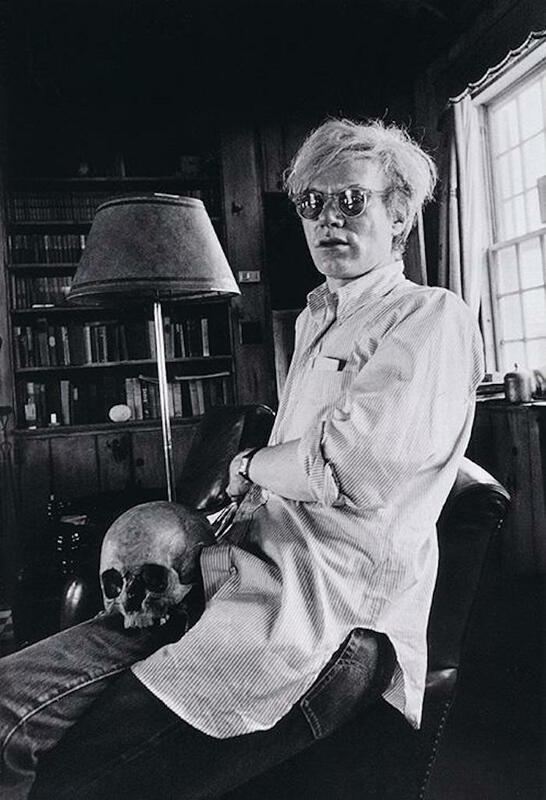 The wealthy Hamptons crowd had taken the curious artist under their wing, and to keep up with appearances, one winter weekend at the dawn of a new decade, Warhol decided to hire an East Hampton realtor to help him find his newest investment. 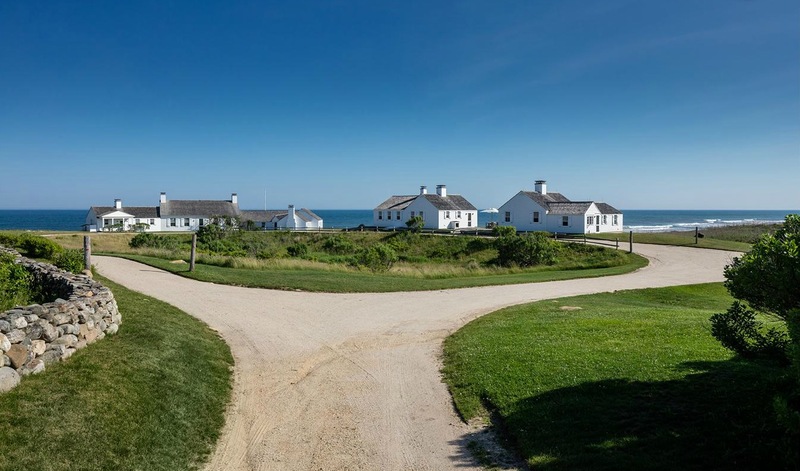 The most pristine houses on East Hampton’s poshest avenues however, didn’t excite Andy in the slightest, and it wasn’t until they drove further up the coast into Montauk that something caught his attention. 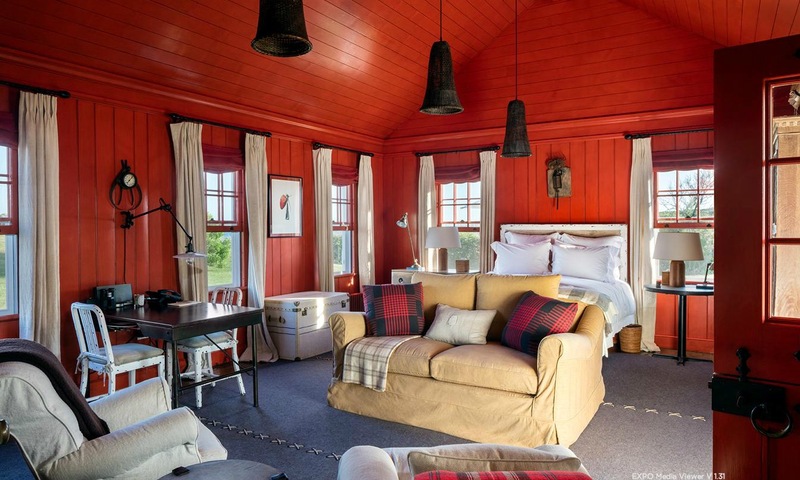 Once quoted saying, “I like boring things”, Andy was amused by what was commonly described as Montauk’s Polynesian-Tudor-Motel Six design sensibility. 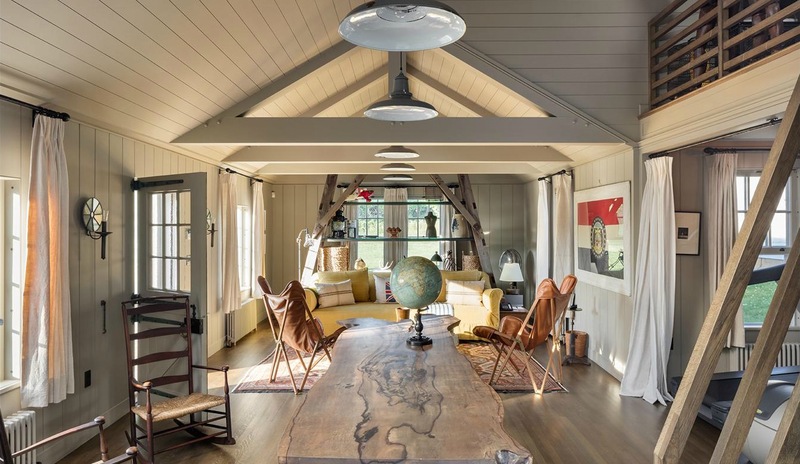 The property he would finally settle on was called Eothen, meaning “at first light” in ancient Greek, and was built in the late 1920s by the Arm & Hammer baking soda heirs as a fishing camp. 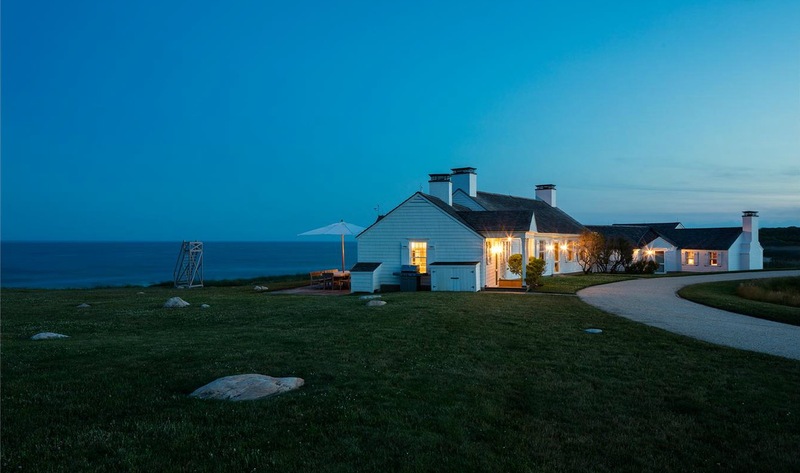 With views of the Atlantic and the rugged cliffs of Montauk, it featured 7 bedrooms, 4 stone fireplaces and 4 smaller cottages for guests accommodations, which would prove very useful to Warhol. 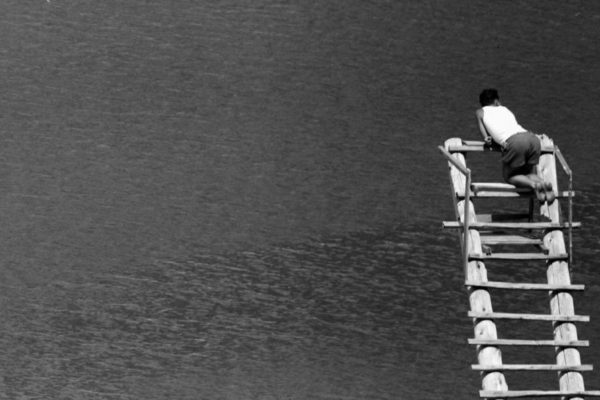 That first summer in Montauk, short on cash, Andy needed some help with the bills after a decade of using a large portion of his income to finance the Factory in the city. And his first tenants were none other than the First Family. 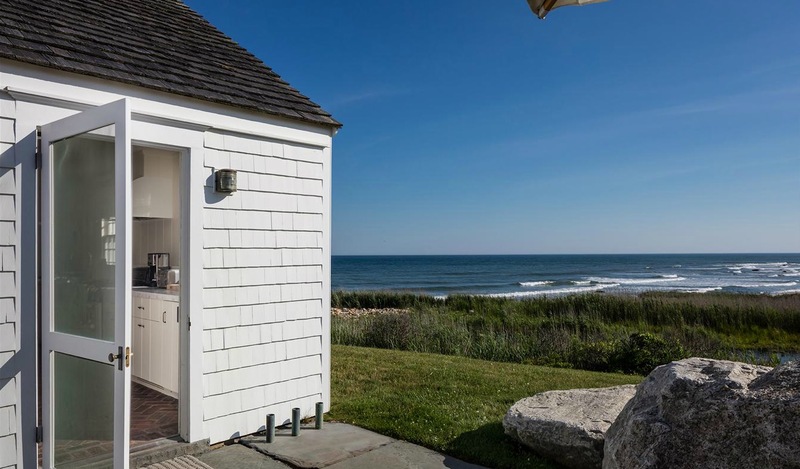 Lee Radziwill rented the main house in the summer of ’72, and invited her sister Jackie Onassis to stay and keep her company, along with the Kennedy children, Caroline and John John, while Warhol occasionally took up residence in one of the guest cottages. 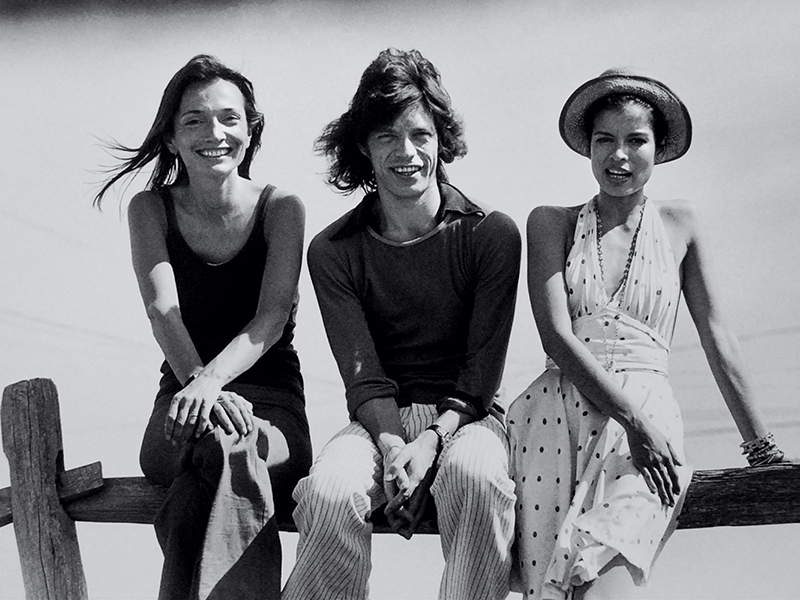 Left: Lee Radziwill pictured with Mick and Bianca Jagger at Warhol’s estate. 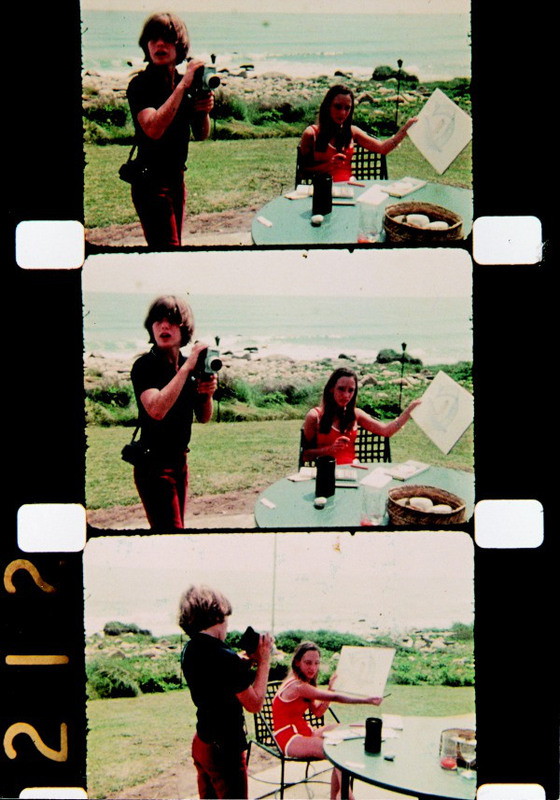 John John Kennedy, filming his cousin Tina Radziwill. Photographer Jonas Mekas captures a young Anthony Radziwill and John F. Kennedy Jr. dancing to a Rolling Stones recording at Eothen in 1972– via 1stdibs. 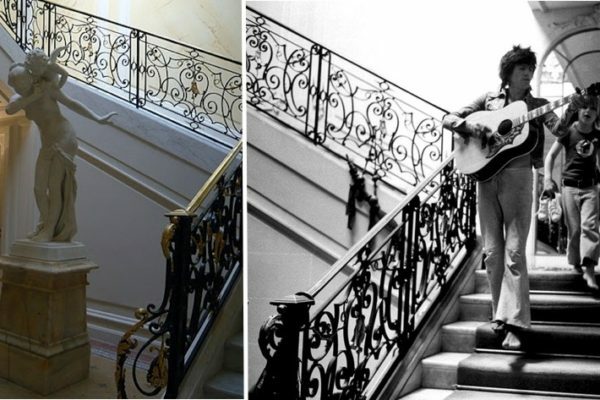 Evidently pleased with his first summer’s houseguests, a close friend to the artist, Bob Calocello of Interview magazine, said that Andy had joked about putting up gold plaques above the Kennedy beds, saying “Jackie slept here”. 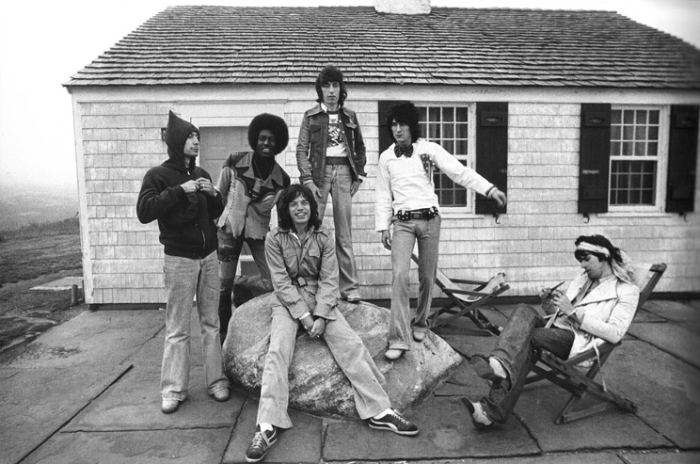 The next group of Warhol’s guests that certainly put Montauk on the map were his good friends the Rolling Stones in the summer of ’75. While planning their next American tour, the Stones rented Eothen for $5,000 (they say if there was one thing Andy loved more than fame, it was money). 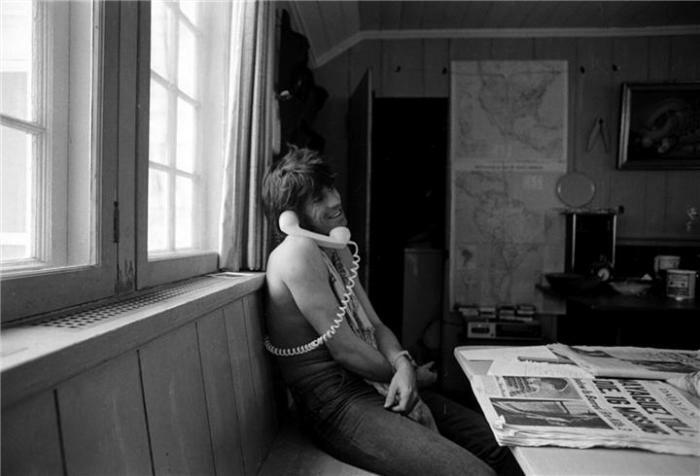 Photographs from Peter Beard, who became a close friend of the Stones. 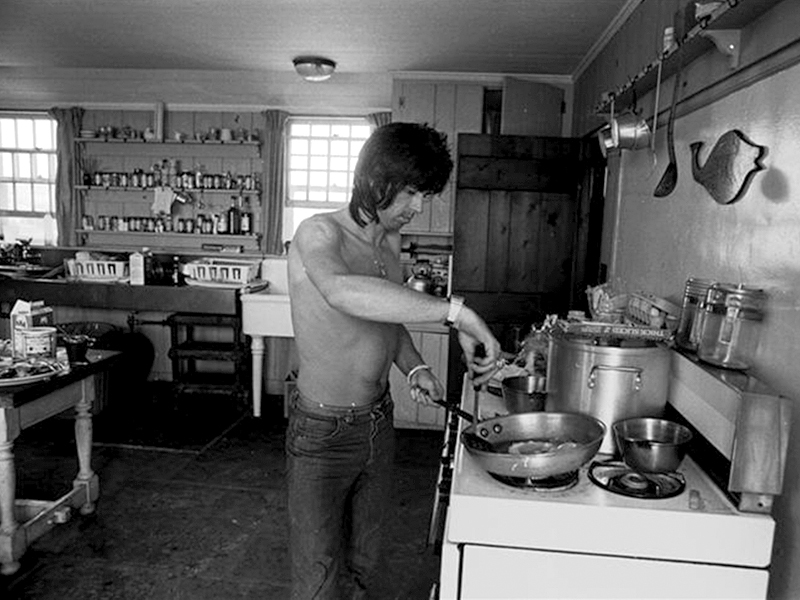 Keith Richards at Warhol’s estate ↑↓ captured by Peter Beard. 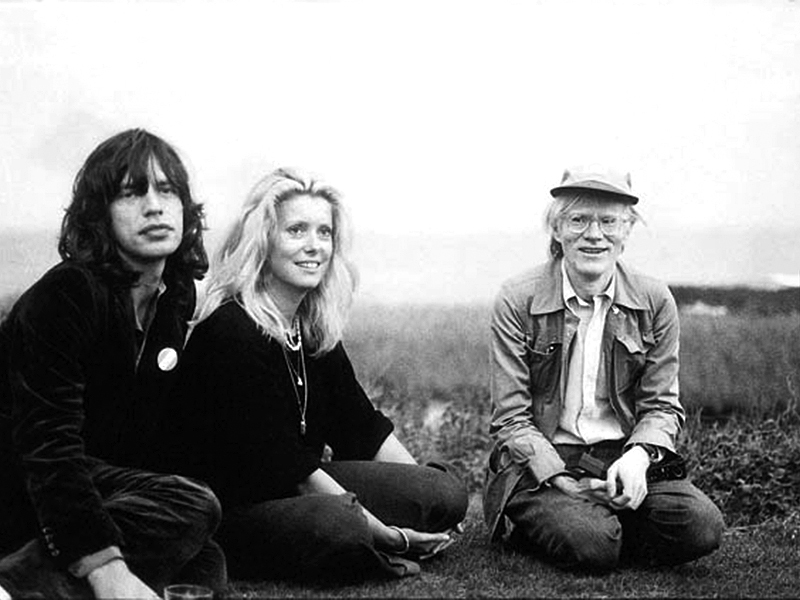 Along with the Stones of course, came an army of Stones fans that descended upon the quiet town of Montauk, trying to get a glimpse of the band summering at the Warhol retreat. They hung out at the local bar Shagwong, playing on the town’s only pool table and listening to the juke box which played the only Stones tune it had on repeat, “Get off my Cloud”. 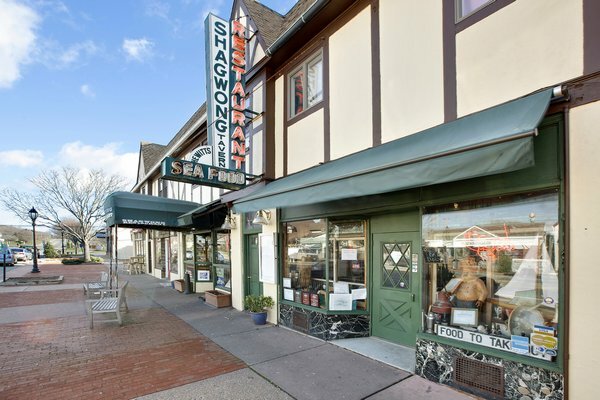 Shagwong restaurant, pictured today, via 27east. Owner Jimmy Hewitt, who still runs the Shagwong today, remembers that summer hosting his eccentric rock’n’roll patrons…. “Mick would take up a stool at the end of the bar, where he’s sit with his private bottle of Grand Marnier. Bianca would waltz into the kitchen to pick out dinner, and kibitz with the crew. 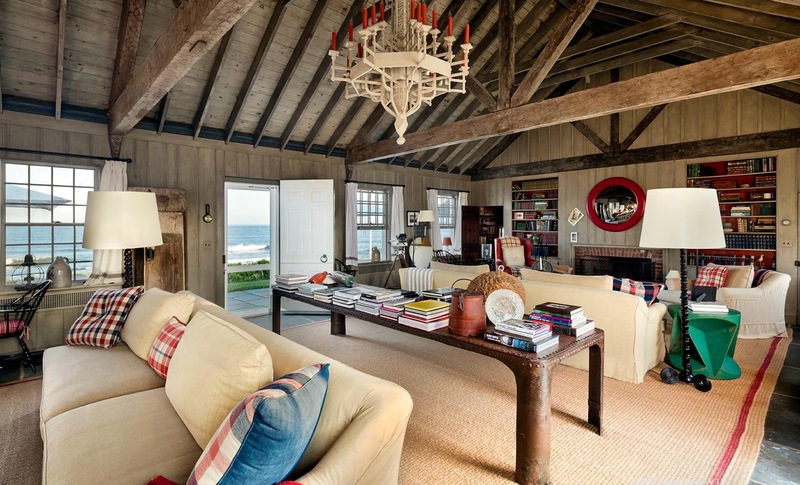 She’d roll up the sleeves of her Yves Saint Laurent dresses and open clams.” –via Montauk Life. 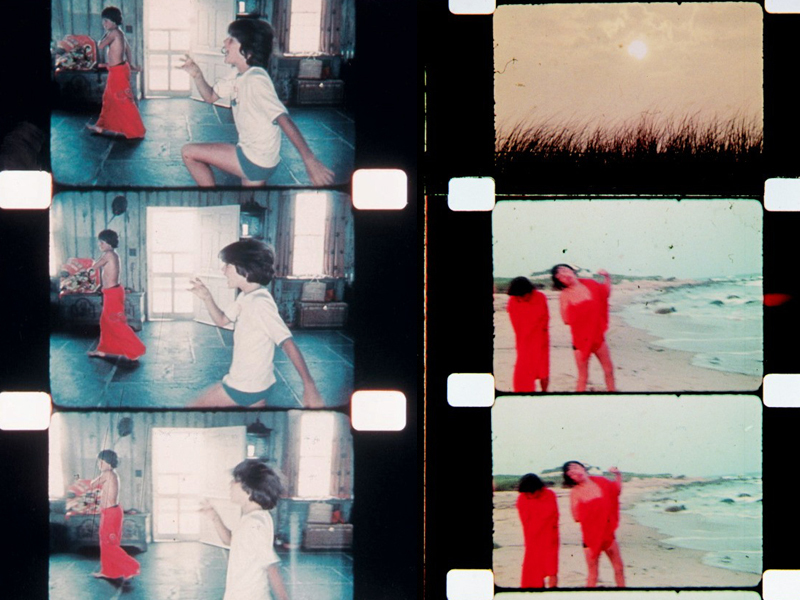 Jonas Mekas’s films of John Lennon and Yoko Ono kneel in the grass at Eothen. Right, Beard and director Elia Kazan chat on the porch. via 1stDibs. 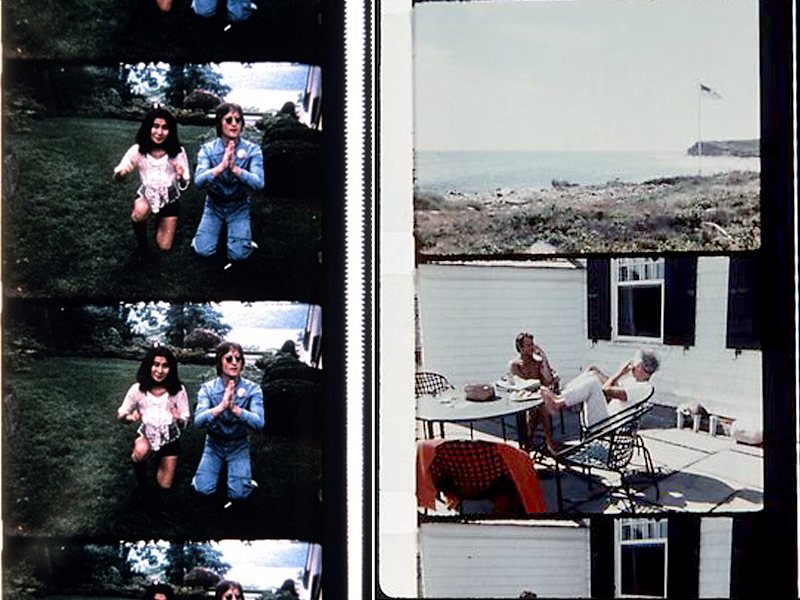 With Warhol’s passing came the end of an era at Warhol’s Montauk estate. 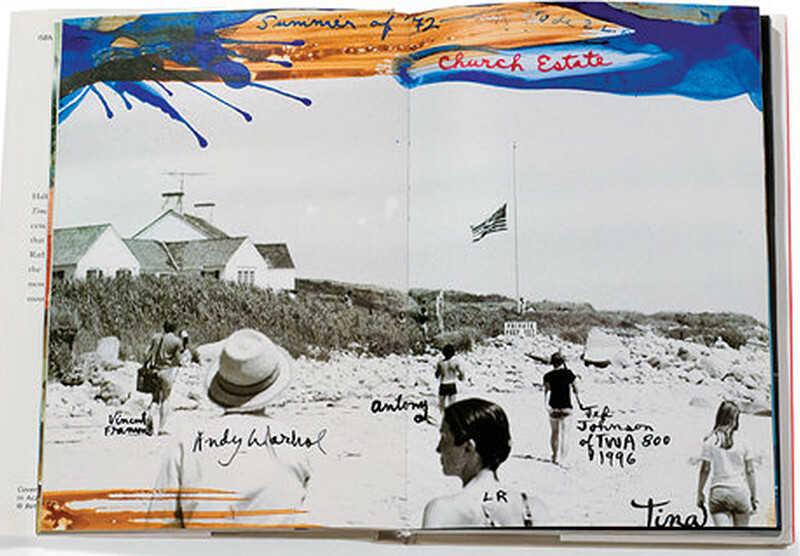 While his partner Morrissey kept Eothen, Andy’s death in 1987, the parade of celebrity guests to his Montauk estate stopped. His partner, Paul Morrissey kept the house, now void of summer celebrity guests, he donated 15 acres of unused land to a wildlife preservation society. 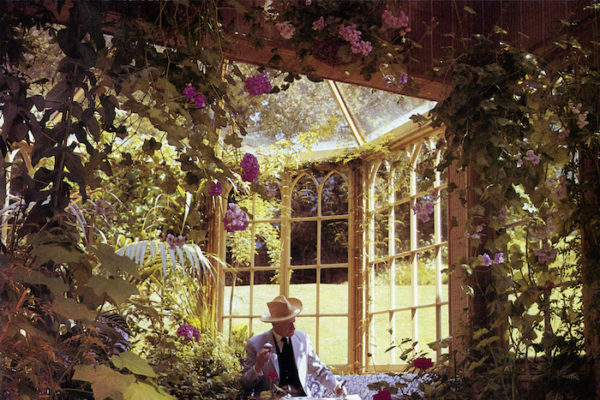 He finally put the estate up for sale in 2001 for $50 million but it didn’t sell until 2007 when the CEO of J. 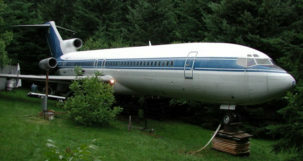 Crew bought it for $27 million. This might account for the very “J. 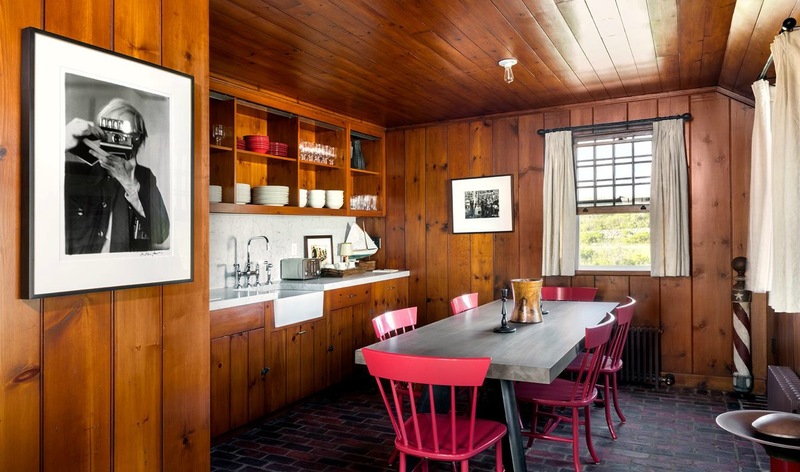 Crew” and considerably less “Warhol” décor about the house in the real estate photos for its current listing today. 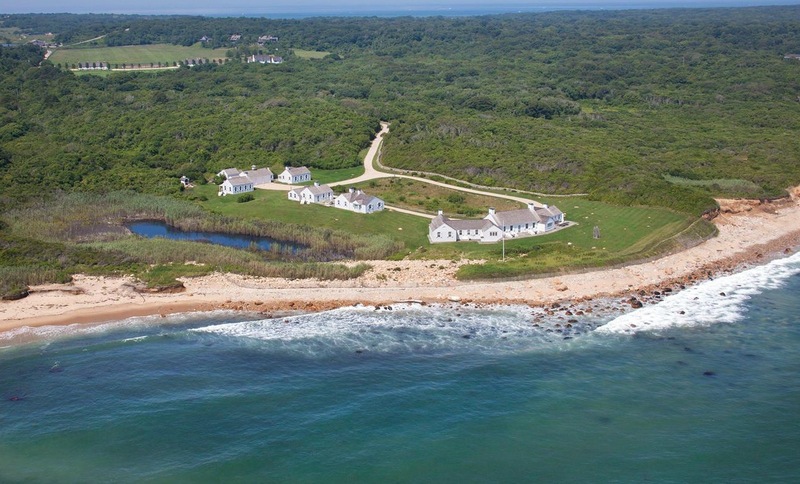 Sources: Montauk Life, 1stDibs, Douglas Enimen Real Estate. 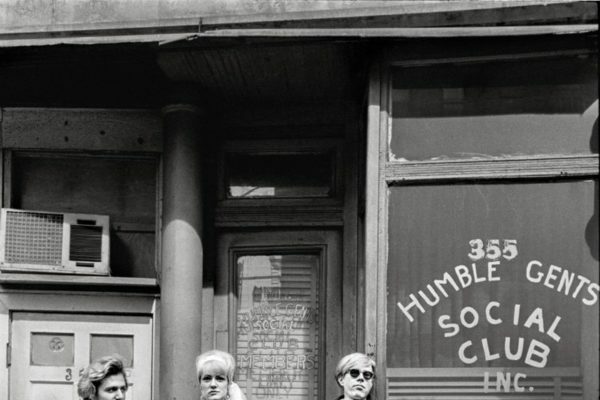 What Happened to the Other Muses of Andy Warhol?